Thanks so much for your video Lucas, extremely helpful for me as a high end VR developer! Don’t mind the trolls here, standalone VR is obviously the future, the way to a massive audience. The last few years have proven tethered won’t take off. I have an HTC Vive and an Oculus Go, it’s always such a breeze to use the Go. I imagine that level of accessibility combined with the standalone version of Beat Saber…. just awesome!! History shows that games are not about high end graphics. We were also happy on a Commodore 64. It’s all about the concepts, stories and experiences, not the cuda count. And in a couple of years everybody, even the trolls, will be more than satisfied with the mobile chips we’ll have then. Sony dont seem to be doing too badly. Would be amazed if the quest sells as many as psvr. Wrong. With a potential over 2000 million gamers worldwide, 2 million is a non-relevant number in the big scheme of VR. Although not a fan of Facebook, I agree with their statement that VR needs a 50 – 100 million users base to make the platform relevant. That is never, ever going to happen with these very pricey tethered systems. Standalone takes all the hurdles away. Just remember there are already more than 2 billion mobile gamers worldwide, happy with their experience. I’m not surprised anymore by that small group die hard fans of high end VR that still think there is nothing else. But it’s still so funny: a couple of years ago there really was no VR hardware or market at all, and now they think how it will all turn out. We’re just at the very beginning. 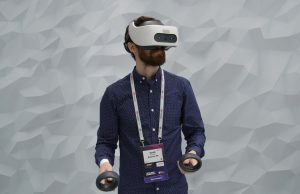 What people don’t seem to get about standalone VR is that, for example, Oculus Quest IS a ‘Playstation console’. Not as powerful yet, but on the plus side you don’t need a TV to run it, and you can take it everywhere, also in your own home. Try that with a Playstation. It’s a whole game console on your head. If people have to choose between a PS and the Quest for sure most of them will choose Quest after they’ve had a demo. Why buy a PS and then on top of that PSVR hardware? That is way more expensive. Maybe that is the reason why Microsoft is ‘missing the boat’ with their XBox platform, they already see standalone is the logical future of VR. Our mobile phones aren’t tethered anymore either. Hope I’m not misunderstanding your comment here, but while Quest has the potential to run traditional games and therefore replace a traditional console, that’s not something Oculus is officially supporting for the time being. It would be amazing if they opened up a section of their store for traditional android apps that mapped to your touch controllers like a standard gamepad. 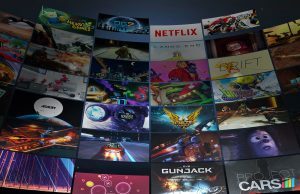 The thought of playing Fortnite or something like that in Oculus TV would be a really cool use case for the platform and I wonder if we’ll be able to access Google Stadia on Quest once it’s available. You begin by saying WRONG and then mention 2 million units which i assume is referring to psvr. Well you are indeed WRONG. Very wrong as psvr has sold over 4 million units. As I stated i will be amazed if quest sells as many as psvr. Dude, you still don’t get it. 2 million or 4. 2 million (latest number I could find)… it’s still a blip in the big VR picture. The PSVR still needs the PS. The Quest needs nothing else. That is a huge difference for us Xbox guys and Nintendo guys. The Nintendo VR is a gimmick for kids. 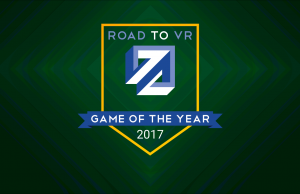 The Quest is projected by people who know more about it than us to sell this year double what PSVR did last year. I guess we’ll see. 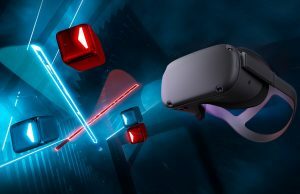 I’m guessing more Oculus Quests will have been sold than PSVRs by the end of 2020. It’s a completely standalone system with many advantages over PSVR. Please take my money! Games on the Quest. I don’t care what it takes, just get it on there. Don’t worry about the ‘trolls’. They are good people who spent thousands of dollars on VR, and now feel like they are being abandoned. They have to defend themselves… i guess. As a non-developer, it is surprising to me how much of this optimization is true or nearly true optimization with no downside. There is no visual improvement to rendering occluded stuff you cannot see anyway. There is no visual improvement to using individual textures compared to an atlas, and so forth. Its just less work for the developer to set up. As a longtime console gamer, our games are optimized to the hardware and still look pretty good. That is just the expectation. PC will always be higher graphics, but a lot of that power is just being wasted, and it doesn’t look as much better as the magnitude of power applied would suggest. Thank you for bringing these games to the Quest. As a console gamer, I am very happy with the results I have seen so far and am eager to buy more optimized games! Amazing video, funny and useful… great job! 1) Don’t make games in-depth whatsoever. 2) Make games look as ugly as possible. 3) Realize you’re working with a processor that’s outdated and limited. Bitter much? Maybe you need some time off. We have already seen great games, you need to lighten up. 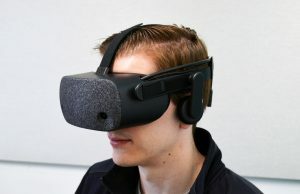 VR mobile headsets are a joke. Feel sorry for anyone who thinks they’ll take off. Looking for a big disappointment. They have their limitations right now – it doesn’t mean that it’ll be the case forever. Look at smartphones and laptops – they used to be incredibly limited back in the day. Smartphones are still incredibly limited. A smartphone is incomparable to a desktop computer in most aspects. Are you saying you hate standalone VR headsets and prefer PCVR headsets because you’re a PC fanboy who cares about graphics and nothing else? It’s definitely not just graphics, but I’ll let you figure that out on your own. Graphics and Library. I hear a lot of reluctance to the Quest because they are afraid the developers will be as snobby as them and refuse to bring their favorite games to the Quest, or because they imagine their favorite games cannot run on the Quest at all. The tune will change when a bunch of big names drop their games to the Quest. And they will, because no one is going to turn that paycheck down. They will not sell well to PC gamers, but you aren’t the target market. You might be right about the visuals inside, but you are wrong about the sales. 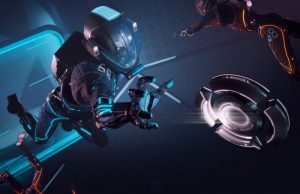 The Quest and its ugly visuals are going to sell like hotcakes to casual gamers who want Beatsaber and Superhot. They happen to outnumber you a hundred to one. A big…. disappointment? I bet that’s what she said. 15. 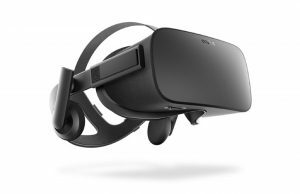 Don’t use CPU and GPU from phones for VR headsets. 16. 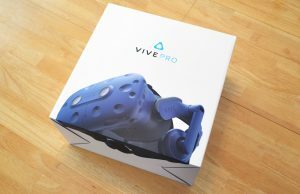 Don’t try to sell crappy, cheap hardware to VR users. 17. Remember that best possible visual quality, is the meaning and whole sense of existing of VR. Graphics is all you care about and not the experiences for games, right? I’m sorry but this is very stupid question. I (and whole market) have too much ‘experiences’ in every possible form, available already. To invest in a new one I need something unique. And for VR it’s a visual side of experience. VR has no advantage over traditional screen, beside visuals. You can tell amazing story whinout VR. You just can tell this story different visually in VR. Nonsense. 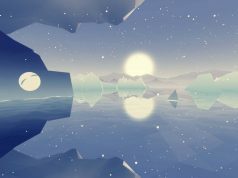 The advantage of VR is the feeling of direct interaction and the removal of abstractions with how we both view and manipulate things within the virtual environment. Racing games don’t look BETTER in VR, they frequently look a lot worse because effects and post-processing get pared back, but the advantage is the ability to actually have more situational awareness due to perfect stereoscopy, a much wider FOV, and head tracking which allows for natural looking into corners. Likewise, Beat Saber without VR is just Stepmania. The motion controls and direct placement of things in an intuitive 3D space is the only reason the game works, but nobody’s playing it for the amazing box graphics. If I wanted the best possible visual quality, I’d skip VR entirely and play on a monitor. VR’s a way bigger GPU hog than pancake gaming by its very nature, you’re giving up visual fidelity in favor of everything else it offers. 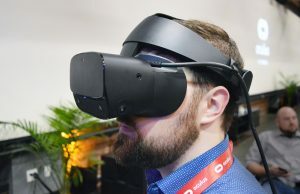 And the things VR brings to the table remain even with weaker hardware, because it STILL produces a significantly better sense of scale, more natural FOV and intuitive head and hand tracking than any other option on the market even with weaker graphics. Dirt Rally in VR looks way weaker than Dirt Rally on a monitor, but I still opt for VR every time because I value immersion and natural interaction over graphical fidelity. “Nonsense” is not enough strong word for such a stupid statement. Dream on. If I have better screen I will always choose this screen. Furthermore, it’s familiar. And it’s ‘social’ not separating me from the others. You can call me stupid, but if VR will not be, at least, equally good as traditional screens, it will not be popular. Period. You have good points, but generally – I disagree. Im’ a gamer since late 80’s, and IT guy, I have many gamers/tech enthusiasts friends. Not even ONE OF THEM is in VR, and my 3 HMDs are collecting dust. Why? Because you just basically wrong. Yes, it’s all about the story. But you just can’t sell convincing story to the modern user without high quality visuals. That’s a fact. We are not living in 90’s anymore. You can disagree with that, but numbers are on my side. People will not but 400USD+ HMD to play DIRT on 360p. Belive me. Really, believe me. They already have their insanelly good and cheap 2k/4k screens where they can see every little detail. They know how to interact with them. They have fun. They don’t need another way to play DIRT – little better, little worse. It has to be 100% better. Terraria has sold more than every VR headset combined despite looking like a Flash game made with ripped-off Final Fantasy sprites. Fortnite is the biggest game in the world and it can run on phones. Tetris got three new games over the last year (all of which were huge successes) and is overall the best-selling game of all time, and the second-best-selling game of all time is Minecraft. PSVR has sold more than the entire PC VR market combined, despite being a significantly weaker platform, and obviously individually none of the PC VR headsets even come close. As for needing graphics to tell stories, of the 20 best-selling games of 2019, roughly half of them have no meaningful story to speak of and are either sports titles or primarily multiplayer. 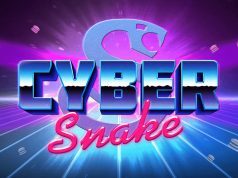 In the best-selling VR games list on Steam, the vast majority aren’t story-oriented either, with some of the biggest hits being Job/Vacation Simulator and Beat Saber, games with purposefully simplistic graphics. Finally, the best-selling system of 2018 was the Switch, which runs on mobile hardware from 2015. The PS4 Pro was right behind it, with the Xbox One X (the most powerful of the bunch) bringing up the rear. You’re right, the numbers don’t lie. And they say that while graphics are important to people, they’re FAR from a sole selling point or a deal-breaker. You must not ahve seen anything like this…. 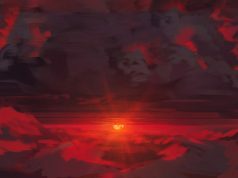 you dont need insane graphics to tell an epic story and this oscar winning vr animation proves it. That spatial awareness and input is dragged down by a less immersive and believable environment in the HMD. 2) Existing traditional screens are insanely good. To compete with them VR has o be, at least, equally good. It isn’t. That’s why you will not convince consumer to spend significant amount of money on this new medium. ‘Spatial awareness and stereo vision’ doesn’t matter if you cannot read text.For now, VR just can’t compete with traditional gaming. Especially mobile VR – and thats what we talking about. You’re a stupid question! So get out graphics fanboy! In VR he has a point considering the point of VR is immersion, so the more realistic (better GFX) the more believable, the more believable your environment the more immersive. Good gameplay should be a given, if you don’t have good gameplay your game shouldn’t exist in general. 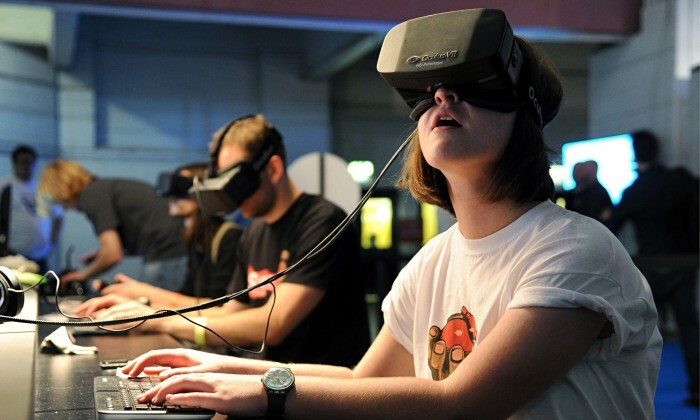 Here we go again… VR is not about graphics, VR is about PRESENCE and IMMERSION. 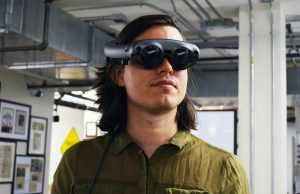 I we never been more immersed than when walking 30+ meteris “in real life” while in Minecraft VR with my Dell Visor on and my laptop in a backpack. 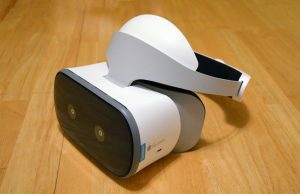 Tetherless mobile VR will give you better immersion than any of the existing PC / Console headsets and with lower pricing it will push the VR adoption more than any tehtered solution needing additional hardware ever would. 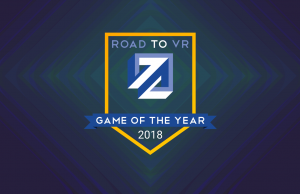 VR users? They are like what, a few million people? 15. 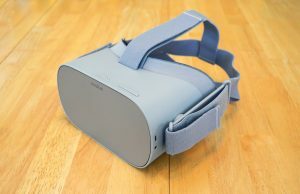 Use SoC from phones for VR headsets. In a year or two, you will shift the emphasis in chip design from cameras and video codecs to VR-dedicated hardware acceleration. In a couple years, they will be much much better. 16. Sell crappy cheap hardware that will sell hundreds of millions units. Use those dollars to buy yourself an island. 17. Remember that latency is everything. If your beautiful game stutters even a little for a frame or to, you have failed the whole sense of existing in VR. An ugly butter-smooth game is very immersive. In future I (as a user) would rather like to see ray/path tracing based games with reflections, refractions & translucence and crytek has already claimed that they can do it on any modern GPU. While using game Nature Treks I found that water simulation does not make much impact. Water surface looks like a moving mish mash. I wondered if it was ray/path traced, how much better it’d be. Hey if your not a dev, maybe try not commenting on things you dont understand? We all want those things and will use them when possible. Optimization and visual features on the brim of technology are on opposite ends of the spectrum. Not to mention ray tracing would need to be done per eye, or even if its duplicating for both, its just too much right now to do while also doing all the vr position computing that needs to be done. have patients and try to do research before saying you want things that clearly we all want but we all know arent here yet. We can only wonder if snapdragon 845 would have made whole lot of difference. It just feels pushed by force.. they have to take soul out of the games in order to run them on Quest :( I still want one. I am going to get the Quest, but I hope they come out with a Pro or S with a better chip the next year and developers just turn a few things back on without making a whole separate platform and store. How to make me not buy your game 101. Cartoon graphics are such a turn off by now to me and post processing is some of the best and immersive visual features you can have. How to make your game crappier so you can sell it on MUh MaInsTReAm DevICe tHAt WilLz Savz teh Vr. I think they keyword here is stylized, not cartoony. Striving for photorealism usually falls flat because our hardware doesn’t have the power for it (and it’s really hard to do it under a limited budget – we all know what the real world looks like, so if anything is off it stands out like a sore thumb). My hardware has the power for it. Yes, but the vast majority of people in the world don’t have your specs, and devs often want to make games for a critical mass of people. I buy VR to escape reality, not recreate it. My friend tells me to come see his new game on his new rig and how good it looks. Its Skyrim and everything looks like extremely detailed hut with all the color sucked out of it. Its dreary. Wow, ten thousand polygons and they are all a dull grey with a perfectly simulated rainy day. Ew. What’s next, photorealistic shoveling mud? Give me a Pikachu and some color any day. I don’t know what you are saying dude, Skyrim is a game from 2011 converted to VR. It’s not even a realistic attempt. but…you can get the NAT ENB mods that make it look less dreary. See? PC has a solution to everything. :) Though games looking dreary is definitely a Bethesda thing. lol mods make that game literally 1000 times better, same with fallout 4 vr. I wonder if 2 SoCs can work. One on the hmd and one on the phone. There is a place for Quest and there is a place for Rift and others. Some people love mobile,others love high-end graphics and games, no one is right or wrong, it’s just different things. Quest is great and I hope it will become very successful but personally I’d rather play Lone Echo 2, Asgard’s Wrath or Stormland than anything that’s coming to the Quest because that’s the kind of game and experience that I want, I DO want photorealistic graphics, I want to feel like I am somewhere else in the best possible way, I want that realism, that feeling of presence that something like Lone Echo gives me. I want something that looks like reality, only a different one, in places I could never visit IRL. Of course, other games with cartoony graphics or a different style can be great too, I love them as well but if I have to choose I prefer realistic graphics. A lot of people don’t even have a pc, they will tell you their mobile phones is more than enough for their needs. That’s cool, good for them but I can do tons of things on my pc that a mobile just can’t do and I like it that way. It’s the same with HMD’s, different people just like different things. The future is mobile, no doubt about it, but it’s still a long way until we get pc quality in a mobile headset. It will come, that’s for sure but in the meantime some of us will still prefer a tethered headset with the best possible quality, just the same as others will prefer mobility with less visual fidelity. Both options are fine. You can have both, too, just because you love pc-vr does not mean you can’t buy a Quest too and enjoy it. 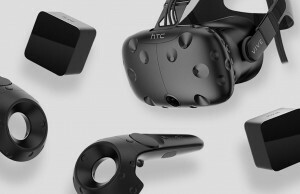 It sounds like you already have that PC that you do ‘tons of things’ on besides VR. So that means for you the Rift just costs the headset itself, because you don’t have to buy a PC to run it. 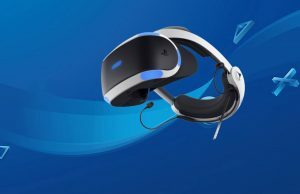 PC guys get Rift, playstation guys get PSVR. If I asked you to buy another console or PC that you could use for nothing else but VR for a thousand bucks, and then ask you for another 400 bucks for the system, before any peripherals or games or anything – is that experience worth it? That is what we are asking the Nintendo guy like me to do. I have the money to buy the rig and the cords and all that stuff, but it just isn’t worth it. Very expensive and less mobile and more hassle just for looks and library. When someone says the Rift is worth it, what they really are saying is that they already own a PC. I understand getting the Rift, even if you have to buy a PC, if it is the only way to play Stormland. Now let’s say that these games, in graphics-nerfed forms, like Stormland, comes to the Quest. Is looks still worth it to you? For me, the system that costs a third costs a third. I can buy a Switch, a Quest, and a mountain of games for the cost of the Rift rig before any games. I get your point and I sort of agree with you but everybody’s circumstances are different. For me it would be worth it, but I spend a lot of hours playing in VR, others who can maybe play 1-2 hours a day would think otherwise. Then it’s also a question of whether you can afford it or not, whether you have the space, etc. It’s like when people talk about room scale, I couldn’t care less about it but just because my house is very small, I don’t have enough space for that, for others it is an essential feature. Regarding buying another Rift, I actually bought a 2,000€ pc just for it + the headset event though I already had a very good PC but I wanted something better (I got hooked to VR with psvr) because as I said I spend a lot of time in VR every day, I rarely ever touch 2D games anymore and for me it’s money well spent. If I were rich I’d have just about every hmd in existence, which is not the case. That’s what I say that everybody’s case is different. Different people, different needs, different circumstances and different taste. There is a place for everything, Quest and Rift. If you can have both great, if you can only afford one then it’s up to every person to decide which one suits their needs better.